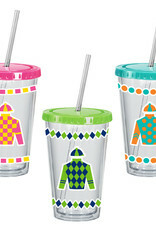 Head off to the races with these Derby Silk Acrylic Sipper Cups featuring colorful prints and designs inspired by jockey uniforms. 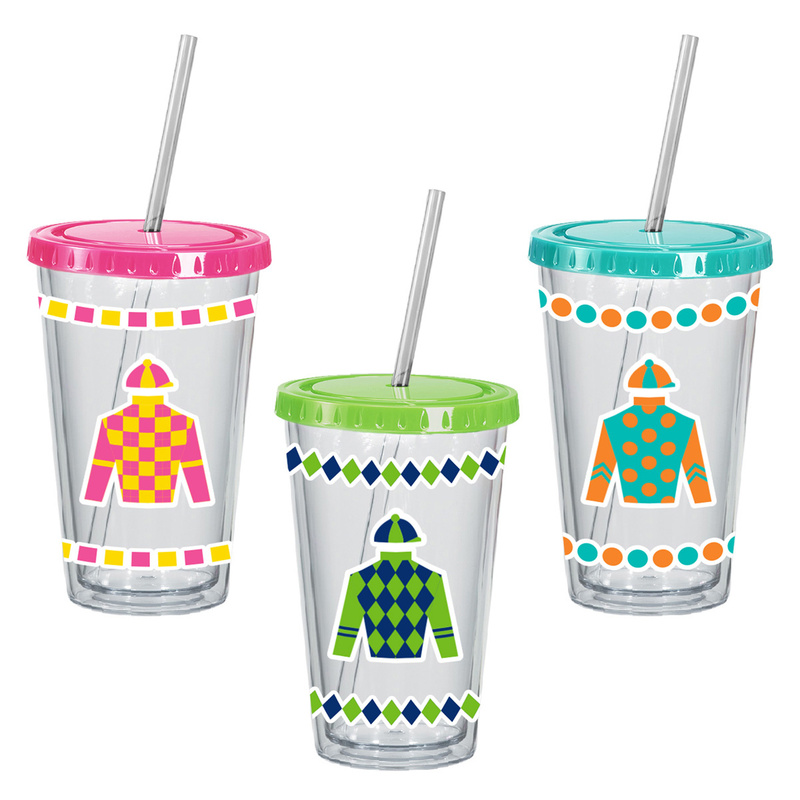 The 16oz double-walled acrylic cup is BPA-free and great for bringing drinks along the racetrack! With the included reusable straw, your mint julep has just become a “to-go" beverage.